Just a short cruise today, the few kilometres upstream from Cumières, and along the Embranchement d'Epernay, the final navigable stretch of the Marne which leads to the 'Champagne Capital' of the region. At the Dizy lock the Canal latéral à la Marne continues east, and we would return here to continue our journey after a stop at Epernay. A new halte on the outskirts of the town was unoccupied, and looked as if it was not yet quite commissioned for visiting boats. Most stop at the heavily recommended Société Nautique d'Epernay, whose role seems to mostly consist of welcoming visiting boats. A quayside linesman welcomed us alongside another boat and provided us with the statutory bundle of information in the language of our choice. Complimentary aperitifs and vouchers for champagne cave visits go some way to offsetting the overnight mooring fee, which having been used to free haltes at every town, seemed relatively pricey. Whilst it may compete with Reims for the title of 'Champagne Capital', Epernay is certainly a regional centre, and a good place for supplies of all descriptions. Having failed miserably in our search for 20" spokes for our folding bike, we were reduced to solving the problem by the application of money and bought a new one from the choice of two bike shops in the town and were pleased to be mobile again, after having been restricted to venues within walking distance for some weeks. Another highlight of our stop in Epernay was the discovery that Orange, on whom we rely for wifi, are running a summer 'happy hour' scheme at their 30,000 wifi hotspots in France. With free access from 3-5pm every afternoon until the end of August, we felt we may just have turned the corner in internet accessibility. 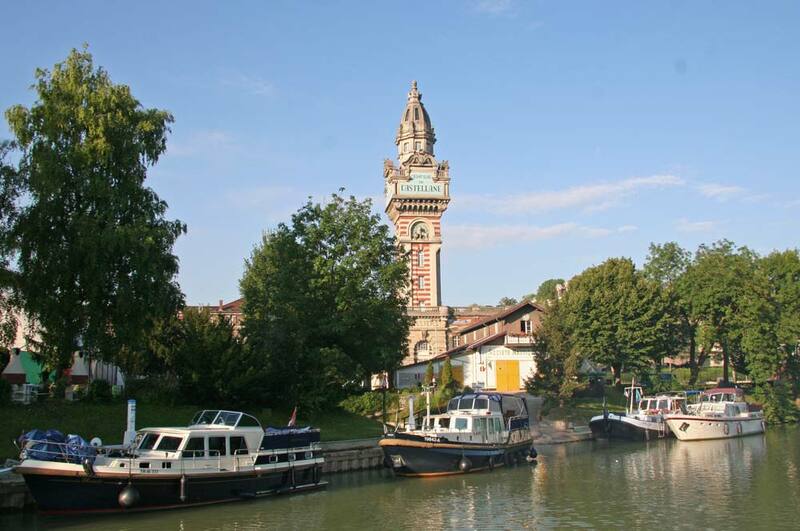 Of course what we were supposed to be doing in Epernay was not visiting wifi cafes, but enjoying dégustation of the local champagne, especially that of Champagne de Castellane, who provide a complimentary tour to visitors by boat. Having conducted a comprehensive survey, we have found the supermarkets sell the champagne at the cheapest prices, whilst the caves do their best to avoid a price war. 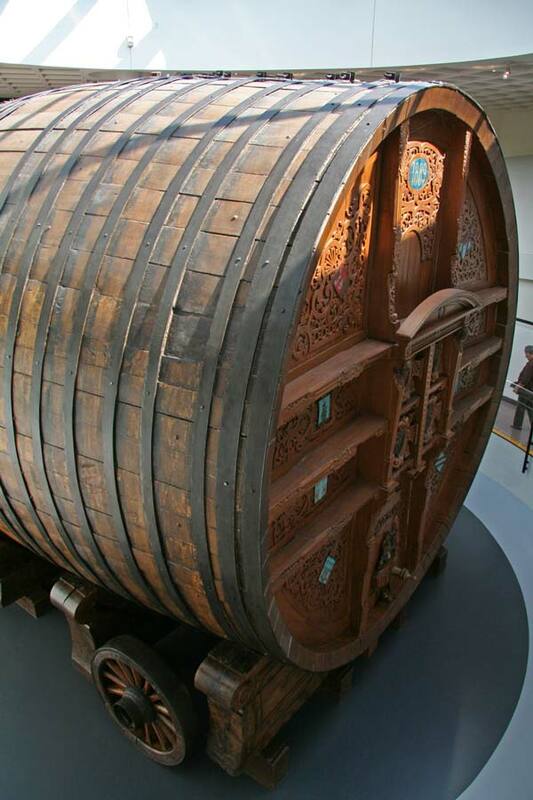 We opted for a visit to the cellars of Eugene Mercier, who claim to have invented the concept of the cellar tour in 1875 and whose giant champagne cask, designed to facilitate the blending of a greater variety of wines, won second prize to Eiffel's tower at the 1889 exhibition. The prestigious Avenue de Champagne, along which the biggest names stand, was not looking as prestigious as usual, with the street all dug up for road repairs. 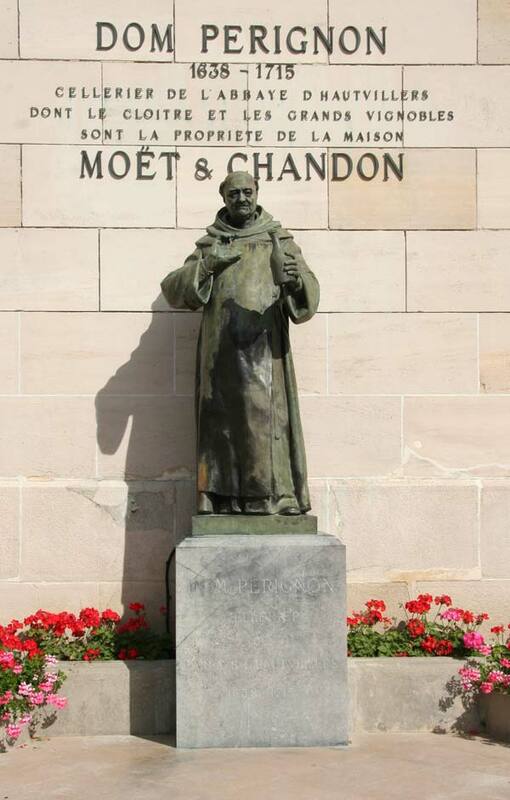 Although all the producers pay homage to the great Dom Perignon, they are at pains to point out that he did not invent Champagne, only the idea of blending wines, secondary fermentation, and the use of the cork!